Selling expensive jewel-encrusted, high-style smartphones turned out to be unprofitable for the Vertu a British company that was founded in 1998 by Nokia. Vertu, a British company which has been designing and selling high-end luxury smartphones starting at $6,900 for more than a decade, is being liquidated after failing to sell enough high-priced phones to pay its bills. The demise of Vertu was revealed in a July 13 story by BBC.com, after the company was bought by a new owner in March who was unable to turn the company around. The BBC report said the company has gone into liquidation. The company was sold in March to Hakan Uzan, a Turkish exile in Paris, the story reported. Uzan is retaining the Vertu brand, technology and licenses after the liquidation. However, the Vertu website that displays all of its smartphone models was still online as of today. The Vertu phenomenon began with the company's original Vertu Signature luxury phones more than a decade ago. The Signature models were available in more than 25 variants using stainless steel, zirconium and other materials, starting at $16,150. According to Wikipedia, Vertu was founded by smartphone maker Nokia in 1998. It operated Vertu until the Finnish company sold all but a 10 percent interest to a private equity firm EQT VI for an unspecified price. In late 2014, Vertu introduced its Aster smartphone, which featured a 5.1-inch solid sapphire screen, an HD display and a titanium case. Running on Android 4.4. KitKat, the phone included a Qualcomm Snapdragon quad-core CPU, 64GB of internal memory and a 13-megapixel Hasselblad camera. Prices began at $6,900. Not only did the company's Aster phones include quality components, but they also came with six months of Vertu's "Classic Concierge" services, which allowed users to receive 24/7 personalized help from a team of "lifestyle managers." Also included was six months' complimentary access to unlimited global WiFi at more than 13 million hotspots. The company also had offered several models of luxury Vertu for Bentley phones, which were aimed at Bentley automobile owners to give them a smartphone to complement their hand-built luxury vehicles. Starting at $16,500 and limited to 2,000 examples, the phones even offered exclusive Bentley-themed content to their users and were swathed in the classic Bentley shade of Newmarket Tan calfskin leather. 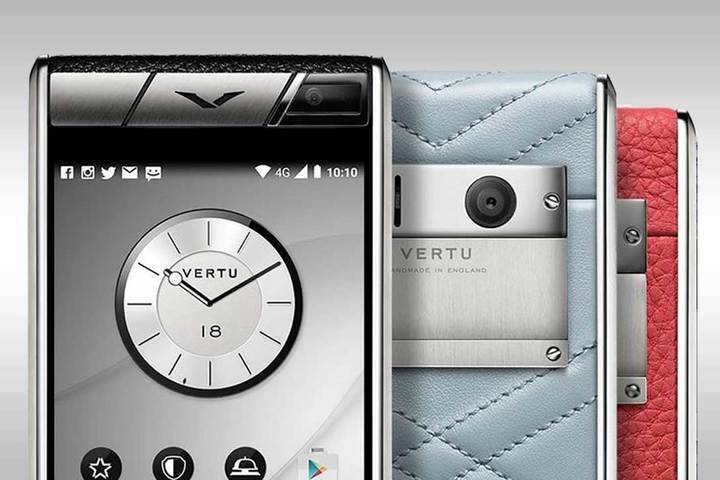 Vertu also offered its Signature Touch smartphone line, which started at $10,800 and climbed to about $22,000, featuring a 4.7-inch HD display, a Qualcomm Snapdragon 2.3GHz quad-core CPU, and a range of five colors and eight leather and metal combinations, giving owners wide customization capabilities. Other vendors have also tried marketing high-end smartphones, with varying levels of success. In May of 2016, Sirin Labs launched its own line of ultra-secure, luxury phones priced from $10,000 to $20,000 each.